Democratic Delaware Sen. Tom Carper has remained almost entirely silent about the sexual misconduct allegations against Supreme Court nominee Brett Kavanaugh. Christine Blasey Ford, a professor at Palo Alto University, accused Kavanaugh of drunkenly trying to force himself on her while the two were in high school — a charge Kavanaugh denies. While many of Carper’s Democratic colleagues in the Senate have used the allegations to whip up opposition to Kavanaugh’s confirmation, Carper has barely touched the controversy. Carper issued a single tweet — though not a formal statement — on Sept. 17 calling for Kavanaugh’s confirmation to be pushed back, citing Republican Sens. Jeff Flake of Arizona and Bob Corker of Tennessee. “My Republican colleagues are right. When credible accusations are made, there are many things a Senate committee should do,” Carper wrote. “But that list certainly does not include rushing through a nominee to serve a lifetime appointment on our nation’s highest court,” he added. The tweet did not address the substance of the Kavanaugh accusations, or say whether they would be disqualifying if accurate. Carper’s public statements since that Sept. 17 tweet have focused on issues unrelated to Kavanaugh. The Kavanaugh controversy could prove tricky to navigate, given his own #MeToo history. The Delaware senator admitted in a 1998 interview that he hit his ex-wife in the face, leaving her with a black eye. 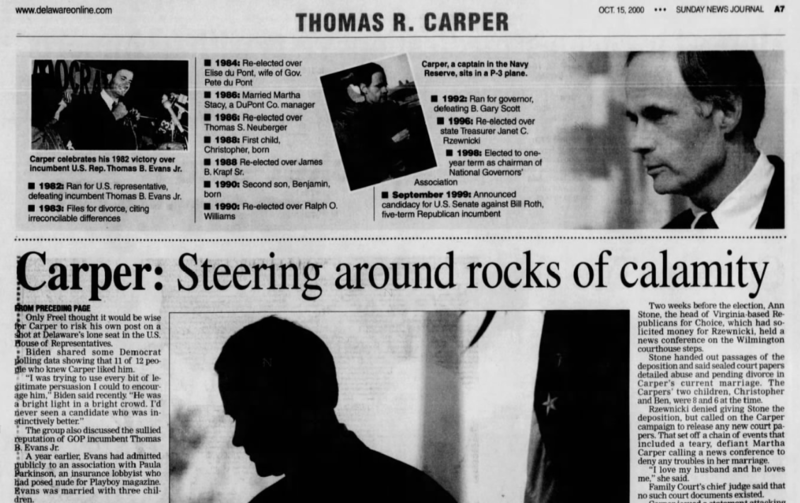 The Free Beacon also resurfaced a 2000 newspaper article that quoted Carper admitting to the abuse in a deposition. “I slapped Dianne one time. It was a stupid thing to do and I … regret it now. 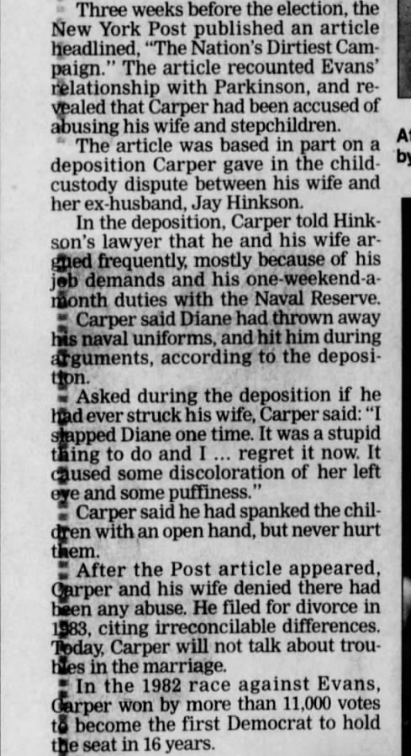 It caused some discoloration of her left eye and some puffiness,” Carper is quoted as saying in the deposition. Carper’s office did not return The Daily Caller News Foundation’s request for comment on the Kavanaugh allegations and Carper’s admitted violence towards his ex-wife.